With good planning and careful management, farmers will be able to survive the difficult times created by the current drought. At the time of writing, only isolated rain showers have fallen in the summer rainfall areas, forcing a need for drought management. The 2014/2015 summer grains season was tough for South Africa’s inland farmers. Nonetheless, they still managed to produce more than nine million tons of maize, compared with the previous season’s 14 million tons. Livestock farmers did relatively well, with fairly high meat and fibre prices and stable grain prices. In spite of slower global economic growth, the exporting industries also performed well in 2014. But the drier conditions in 2014 were followed by severe drought in 2015. 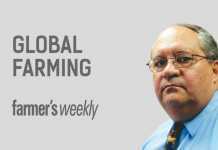 For summer grain producers in the eastern parts of the country, the time for planting is running out. Farmers in the western areas still have some time left, but the risks associated with planting with limited soil moisture will surely result in less maize being planted. The maize industry recently produced three possible scenarios, ranging from a ‘business as usual’ 9,5 million tons to a worst-case scenario of 3,9 million tons and a local price of R3 900/t or more. If this happens, both grain and livestock producers will be in dire straits. In the past, government implemented plans to help farmers recover after a severe drought. The early 1970s saw a stock reduction scheme, and some years later there was an attempt to convert cropland to permanent pastures. After the drought in the early 1990s, farmer subsidies based on crop yield were paid out. The national and provincial governments recently promised some aid for farmers in drought- stricken areas. Although all the money will be spent on small-scale and emerging farmers, this will not be enough to prevent disaster for many. Commercial farmers, meanwhile, will have to fend for themselves. Talks about management schemes such as disaster insurance have been continuing for years. However, when disaster strikes, it is clear that very few real plans are in place. Commercial farmers can therefore expect very little direct aid from government. If the drought continues, agribusinesses will also suffer. A few have already announced drought management schemes for aiding farmers during the drought. It is hoped that the rest will follow. They now have an opportunity to show whether the welfare of the South African farmer is a priority for them or whether they are interested only in their short-term bottom line. Periodic droughts are an inherent part of the South African agricultural landscape. 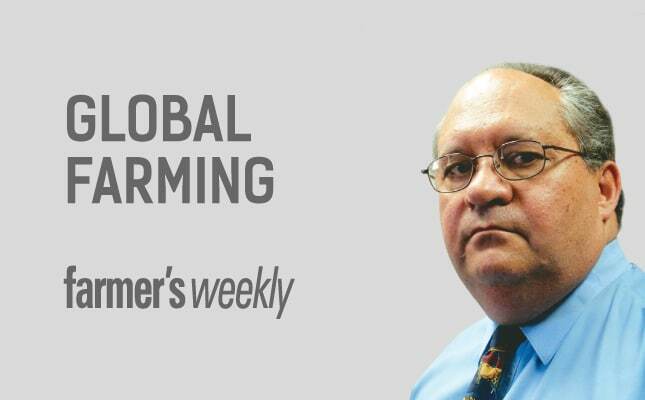 Drought management should form part of any farmer’s long-term strategy. The keyword is ‘reserves’. These can take the form of stored feed. SA Oosthuizen, who for many years was a lecturer in dairy farming at the Potchefstroom College of Agriculture, used to tell prospective dairy farmers that they needed to produce and store enough silage for two years before they bought their first dairy cows. And if in a dry season they were forced to use all their silage reserves, they should then produce double their normal annual use the following year. When climatic conditions are good, farmers tend to overestimate the carrying capacity of their farms. This can result in severe shortages in drought periods. A conservative estimate of the long-term carrying capacity of a farm will provide some reserves for grazing animals in drier seasons. Cash or credit reserves can also go a long way towards helping farmers to survive. As former Agri SA economist Dr Koos du Toit used to say, a credit limit is not a target that a farmer must reach as quickly as possible. A farmer’s ability to absorb a setback is an important survival tool. One of the most important lessons is: keep your banker updated on your situation. Your survival is also in the bank’s interest and keeping your banker updated will create goodwill and prevent nasty surprises. As the drought continues, the risks associated with summer grain crops is increasing daily. Future prices for summer grains are positive and farmers who are able to plant and harvest a crop can be reasonably sure of good prices. But there are risks associated with later plantings. Grain producers face a very difficult decision on whether to plant or not this year, as conditions can change very quickly. The odds of making the wrong decision are obviously high. But South Africa’s hardy farmers have survived many difficult years and will do so again this year. This article was originally published in the 18 December 2015 issue of Farmers Weekly.